Early in his career, Chesley (Chet) Henry Baker Jr. was sometimes referred to as “the best jazz trumpet player in the world.” Well, aficionados have debated that title for half a century. But with his movie star looks and seductive singing voice, he was certainly one of the most charismatic performers of his day. Philip Watt as Chet Baker (with Doug Lee and Michael Parsons) in “Chetty’s Lullaby”. But it is lifted enormously by the performance of Philip Watt, an experienced professional actor with the requisite movie star good looks and professional chops as a jazz trumpeter. It is Watt’s skilled acting and musicianship which, in places, especially in the second act, transforms this piece into something special. The play suffers from being mechanically episodic, lacking a musical flow, which would seem to be an essential element for a piece of this sort. Sharon Huff Robinson’s direction is fine when it comes to coaching her musician actors, but pedestrian when it comes to creating flowing stage pictures and the scenes do not slide easily from one to the next. The second act, after the initial exposition, fares much better than the first, with some fine emotional depth being achieved by Mr. Watt. Musically, the performances are adequate, but Mr. Watt, although a competent professional, does not evoke the extraordinary sweet, breathy tone that made Baker such an icon, except in a few passages. There should be more of those. If he can hit it once, he can hit it twice, and perhaps more care is needed in the selection of solos that Mr. Watt takes on. 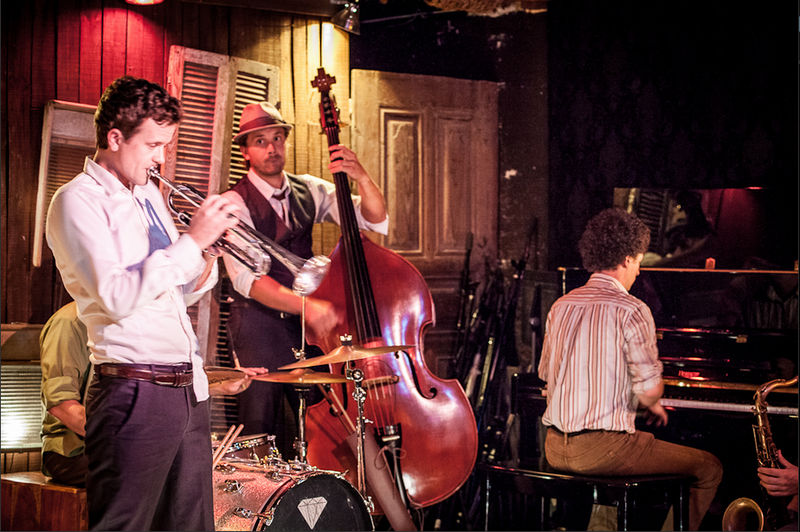 The venue of Viracocha, a furniture store in the Mission, seems an unlikely choice for a play, but it turns out to be perfection as a setting for a jazz club. Audiences will be surprised and delighted by what they discover here. “Chetty’s Lullaby” by Stephen Delbos presented at Viracocha. Director: Sharon Huff Robinson. Romano Mussolini/piano: Michael Parsons. Gene Victory/drums: Charlie Knote. Augusto Rozetti/bass: Doug Lee. Salvatore/Prison Guard: Guiliano Nocito. Mario: Irving Schulman. Gary Hannigan/sax: Stuart Ashley. Carol Jackson: Amber Sommerfeld. Gio: Ehsaan Taeb. Halema Baker: Angela Chandra. 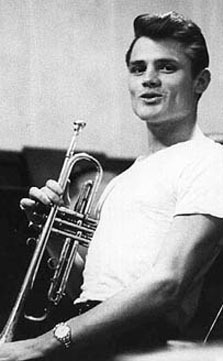 Chet Baker/trumpet: Philip Watt. Posted in Reviews.Tagged Chet Baker, Chetty's Lullaby, Philip Watt, Sharon Huff Robinson, Stephan Delbos, Viracocha.